Could an Unhealthy Gut be Affecting Your Quality of Life? Join Dr. Jerod Work as he opens our eyes to how your gut health affects things women often struggle with… bloating, constipation, eczema, brain fog, appetite, lack of energy and inflammation. Dr. Work will speak openly with us about how getting your gut healthy through the use of probiotics will help you live your BEST LIFE. Listen as he explains the differences between probiotics, what to look for in a probiotic and why you need to add a probiotic into your daily routine. Don’t miss this opportunity to hear how you can obtain your BEST HEALTH, allowing you to better fulfill your God-given purpose for life. 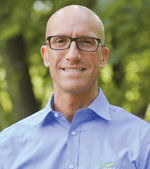 Presented by Dr. Jerod Work PharmD – Co-Founder and Chief Scientific Officer of entegro living probiotics. Come hear Dr. Tendler speak on the exciting advancements in skincare and the latest technologies in the aesthetic industry. At Artisan 57, we believe that YOU are a work of ART. Like art, beauty needs to be created, preserved and restored. 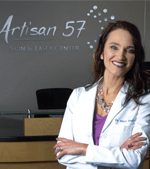 Artisan 57 blends beauty and science to help you look and feel beautiful, confident & empowered. From lasers and injectables to facials and medical grade skincare products, the Artisans want find the best regimen for any individuals needs. Now is the perfect time to visit Artisan 57 where we take pride in creating a customized plan to help you achieve those goals and feel more empowered in the skin you are in. Mindfulness involves being fully present in the moment and enhancing your awareness of your reactions to stress. This presentation combines the practice of mindfulness with deep breathing exercises to help you manage stress in ways that are practical and useful for everyday life. Participants will learn ways to become more engaged and present in their lives and discover their unique responses to stress. They will also have the opportunity to practice mindfulness as a method for managing stress and coping with various life tasks. 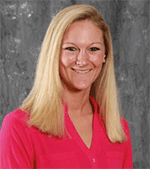 Presented by Megan Engdahl, CSW PIP, Outpatient therapist, Avera Medical Group Behavioral Health. A door prize will be offered to those attending this seminar. Join etc. for her columnist and owner of R Wine Bar, Riccardo Tarabelsi, for a fun, interactive, and educational seminar all about wine! 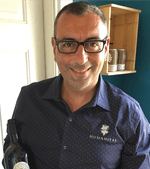 Riccardo is a Level I Sommelier, and he loves to educate people on the nuances that make wine so special. Free samples for all attendees as well as door prizes from R Wine Bar! Cheers! This seminar will cover everything you need to know to make nutritious and delicious beef dishes to satisfy you and your family. Morgan Kontz, popular blogger and local farmer, will cook up one of her family’s favorite beef recipes to share with you during this session. Get cooking tips and food facts from Morgan and other women who are local farmers. Shopping for groceries shouldn’t be intimidating, you’ll learn about what goes into raising food for our families every day. 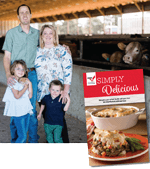 Attend the seminar and receive Simply Delicious Beef cookbook, meat thermometer, and Beef Bucks to use any place you buy your Beef. Beef Bundles will also be given away to 3 lucky seminar attendees. These Beef bundles are valued at over $100 per bundle and are courtesy of our friends at Hy-Vee. Be sure to stop by the Hungry for Truth booth and the South Dakota Beef booth to receive special gifts and to sign up for a chance to win a variety of prizes. Presented by Hungry for Truth and the South Dakota Soybean Research & Promotion Council in cooperation with the South Dakota Beef Industry Council and funding from the National Beef Checkoff. Find more information at www.hungryfortruthsd.com or www.beefitswhatfordinner.com. We will have fantastic door prize drawings every hour! Call (605) 322-PINK (7465) or walk-ins are accepted. 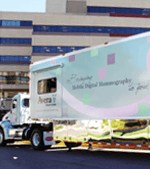 Mobile Mammogram Unit now 3D! Catapult Into the Life You Deserve! 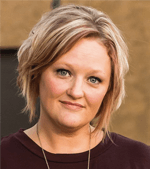 Join Tanya Unterbrunner, Lead Coach and Owner of Catapult Coaching and Consulting, as she helps you see how you can use the hard stuff in your life to really catapult into your best future, instead of it allowing you to hold you in your past. Tanya will share how she used her toughest times to make the biggest and most positive impacts in her life. She will talk about how she was able to find life purpose after her daughter passed away from a rare and painful skin disease. She will explain how being a mom at only 16 years old taught her some of the biggest lessons in her life. What are you letting hold you back from really achieving the life you deserve? Come see Tanya, and learn how to cut the strings and CATAPULT into your best life! Urinary Incontinence Putting Your Life on Hold? Learn about the many options women have to treat urinary incontinence. Almost half of women are affected by urinary incontinence. Though common, urinary incontinence is NOT “normal” at any age. Avera Medical Group Urogynecology proudly offers South Dakota’s most comprehensive clinic that focuses on the treatment of urinary incontinence in women. 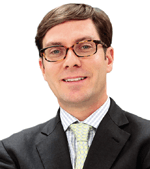 Please join Matthew A. Barker, MD, FACOG, the region’s only board certified and fellowship trained urogynecologist as he discusses new treatment options for women suffering from this common condition. A door prize will be offered to those attending this seminar. Creative Spirits’ painting parties have been experienced by tens of thousands of participants over the past six years, however Creative Spirits is not just that paint and sip. We work closely with planners and leaders to understand goals and determine the best project. Research shows that creativity is essential to wellbeing and productivity. It’s even more valuable when shared with your tribe or others — creating connectedness, fulfillment, innovation, problem solving, and becomes a part of your story. Join us as we show how rewarding even a short creative project can be. This fun little wooden pumpkin project will allow you to customize your very own and experience the energy and value Creative Spirits fosters throughout a four state area -- in two studios(Sioux Falls, Okoboji) and in homes, businesses, churches, schools, and venues throughout. Learn more about the role creativity serves in our lives! 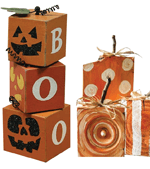 $3 Material Fee to join the fun and create your own pumpkin (cash only please) collected at demonstration entry and receive a $10 OFF voucher for future creative events. Join Women’s Health NP Stacy Bissoon of NexGen Aesthetics for a live Kybella demonstration and see how this first and only FDA-approved, non surgical treatment can help you put your best face forward. Stick around to have your questions answered and find out what other great aesthetic services are available to help you look and feel your very best. Did you know that people make assumptions about you within the first 30 seconds of meeting you? Appearance plays an important role on the impression you make on people! The Style-me workshop was created by a personal style coach and a beauty advocate, our workshop focuses on showing you a simple recipe to look pulled together from head to toe. You will learn simple ways to up-cycle your wardrobe right from your own closet. You will also learn how to incorporate a non-toxic makeup into your daily routine. Regardless of your shape, work, lifestyle, color, you can have style, you can look more put together and you can have more confidence! We can’t wait to show you! Anyone who comes to this seminar will have an extra opportunity to win an epic door prize (Come to our booth and see us). 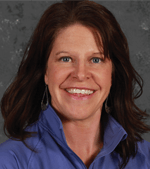 Join Avera Health Coach, Kandace Brands, to learn about ways you can live a healthy lifestyle. You will learn more about the Ideal Living weight loss program at Avera where you can lose weight and keep it off. Presented by Kandace Brands, Certified Health Coach. 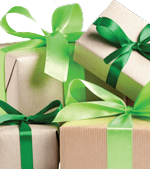 Enjoy food samples and door prizes at this fantastic seminar! 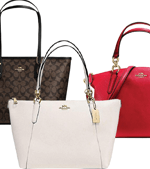 Stay and see if you are a lucky winner of one of the five gorgeous Coach® bags we will be giving away at 5pm. It’s easy — simply drop your name in the prize drawing box and be sure to be there at 5pm on Saturday — must be present to win!